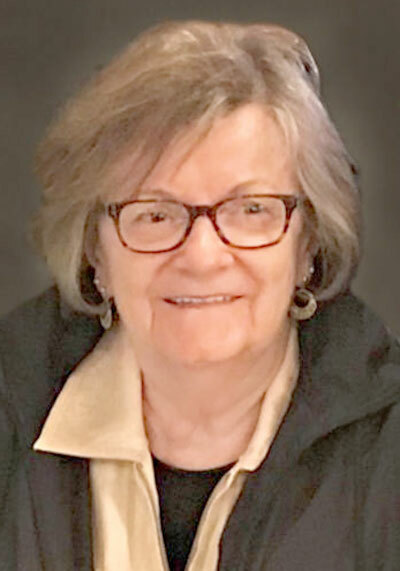 OOSTBURG, Wis. — Dorothy Ruffatto Sandona passed away April 2, 2019, in Oostburg. Born Jan. 24, 1934, in Iron Mountain, she was the daughter of the late Domenic and Carrie Bartoletti Ruffatto. She graduated from Iron Mountain High School in 1951. She married Santo Peter “Pete” Sandona in1953 at the Immaculate Conception Church in Iron Mountain. Dorothy lived in many places during her lifetime following her husband’s work transfers, and traveled abroad extensively in earlier years. She often talked about her special time in Beijing, China. Dorothy worked in municipal government most of her working days, during which she presented Assembly Bill 61 (“Dorothy’s Law”) related to residency of election officials to the State of Wisconsin for Labor and Election Process Reform. This law was unanimously approved and passed in 2005. Dorothy did a stint as a realtor in Michigan and Ohio. Between transfers, Dorothy completed business, accounting and computer studies at Eastern Michigan University in Ypsilanti, Mich., Gateway Technical College in Kenosha, Wis., and Dearborn Community College in Michigan. Her children were her pride and joy. She enjoyed spending winters in Florida for many years. Dorothy is survived by her husband of 66 years; three children, Brian P. of Slinger, Wis., twins, Sherri (Mike) Sandona Kamenski of Grafton, Wis., and Sharon (David Lepp) of Green Bay, Wis.; one grandson, Brian D. of Charlotte, N.C.; and a great-grandson, Santo Atlas O’Neill Sandona. She is also survived by her brother, Donald (Arlene) Ruffatto of Maui, Hawaii; sister, Debbie (James) Gubala of Nevada; two aunts on the Ruffato side, Lucille Bartolameoli of Iron Mountain and Dolores McCarthy of Michigan; step-grandchildren and great-grandchildren; many nieces, nephews, cousins and friends; and special friends, Sue (late Vince) Stromei and son Joseph (Jessi). Visitation will be held 5:30 to 7:30 p.m. Wednesday, April 17, at the Wenig Funeral Home in Oostburg. Burial Mass will be at 11 a.m. June 11 at Immaculate Conception Church in Iron Mountain. No flowers. Donations can be made to the Immaculate Conception Church, Blessed Trinity Parish, Sheboygan Falls, Wis., or St. Jude Children’s Research Hospital in Dorothy’s name. For online condolences and additional information please visit www.wenigfh.com.